I had a problem. Every time I sat down to sew for long periods of time, I found my chair was just not comfortable. I needed more padding. Lucky for me, I happen to LOVE recovering furniture. With my new-found love for Pom Pom making, it was a no-brainer. It is so comfortable now, and I absolutely love how it looks! 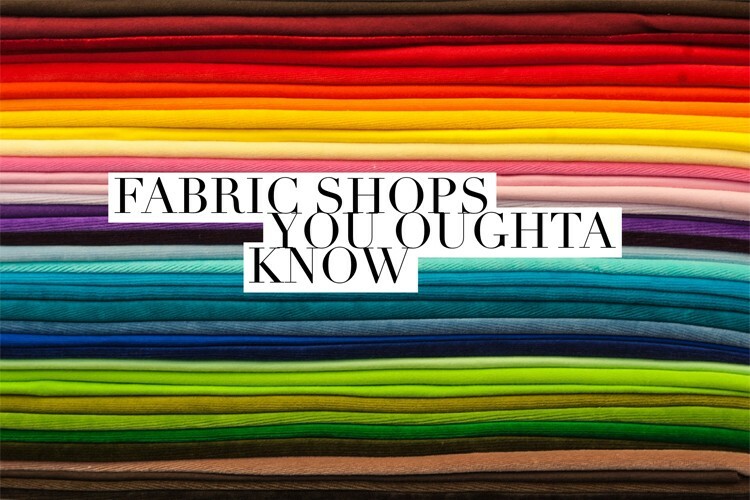 I used neutrals to match my sewing studio, as I like for the fabric to be the most colorful thing in my workshop. 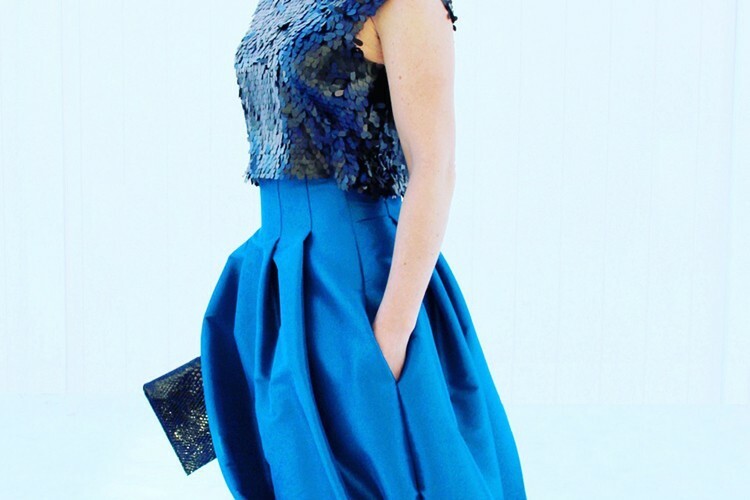 But imagine them in your favorite color palette and you have a chair that will steal the show! 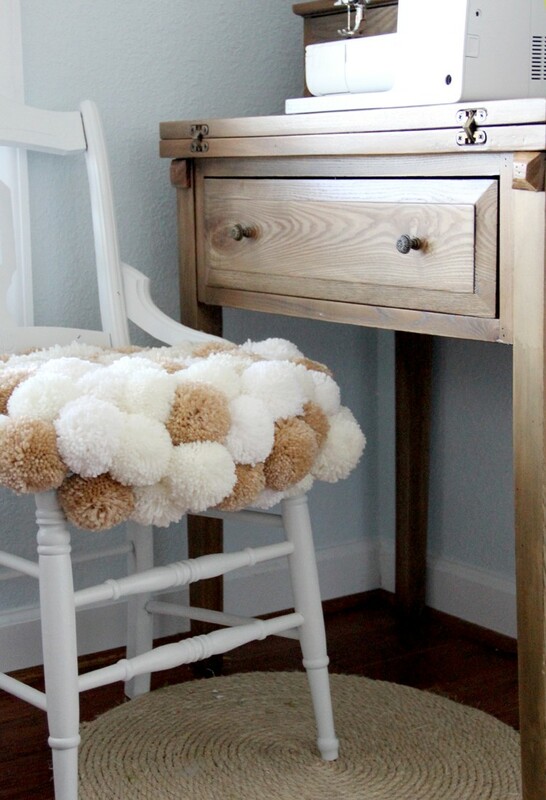 Pom Pom Chair DIY – how to make a pom pom chair. 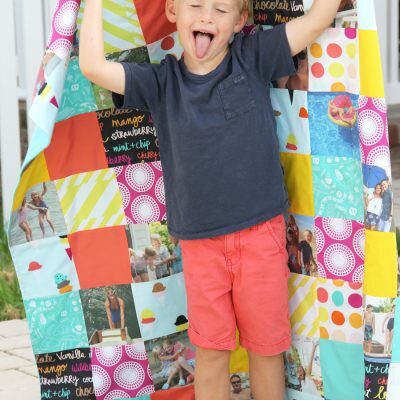 Step One – Measure your chair top, and cut interlock canvas so that it is 1 – 2″ larger around all edges. Cut slits in the canvas fabric if needed to accommodate chair arms, etc. 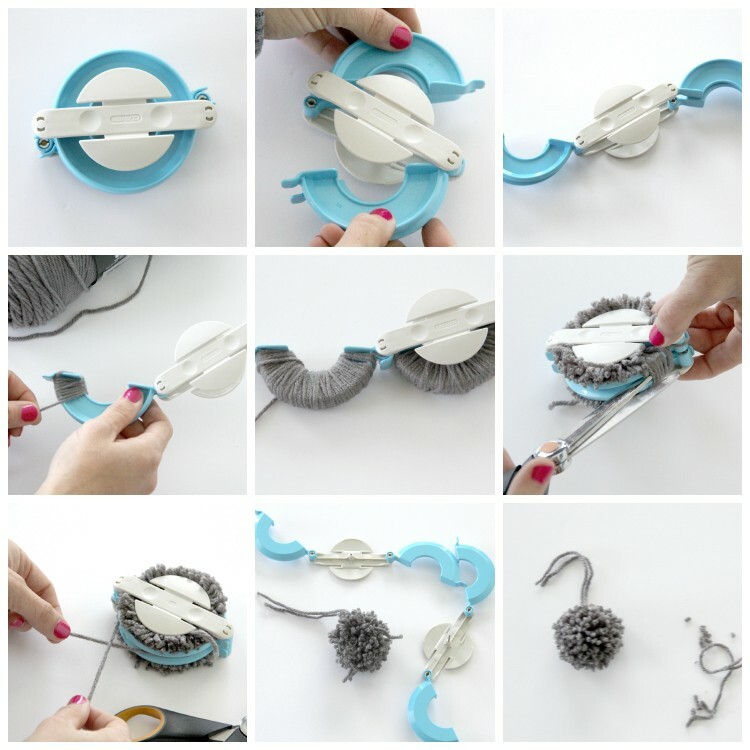 Step Two – Following the instructions on the pom pom maker, make a boatload of pom poms. 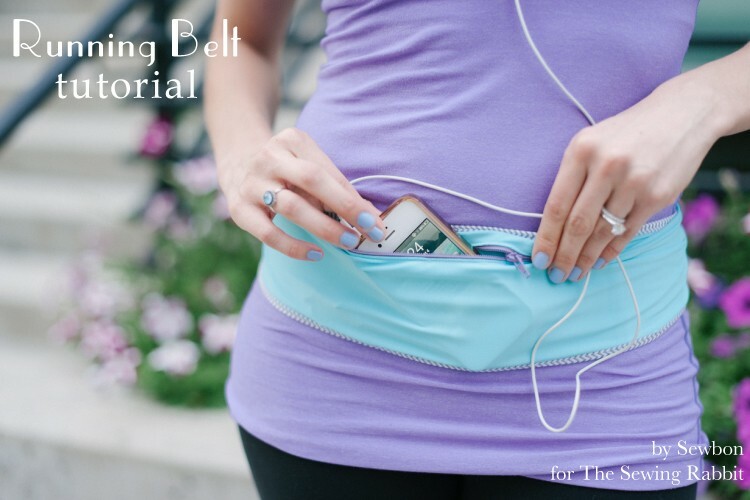 Make so many that just when you think you have enough….double it. Trust me on this one. 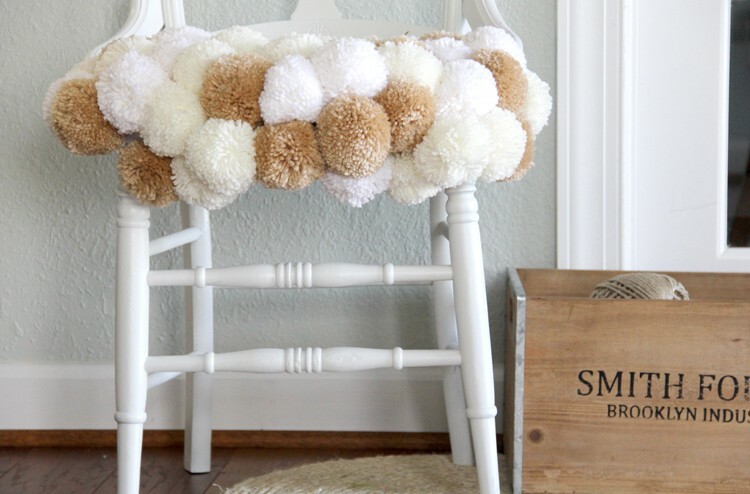 For a more in depth tutorial on how to make yarn pom poms, click HERE. When making the yarn pom poms, leave a longer string for tying. Step Three – Using the tapestry Thread the long pom pom strings through the tapestry needle, and tie the pom poms onto the top of the canvas. 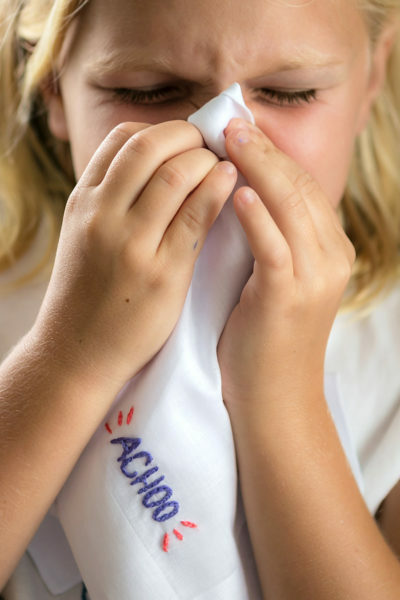 Continue doing this until you have covered the entire top of your fabric canvas, making sure to pack the pom poms in tightly. 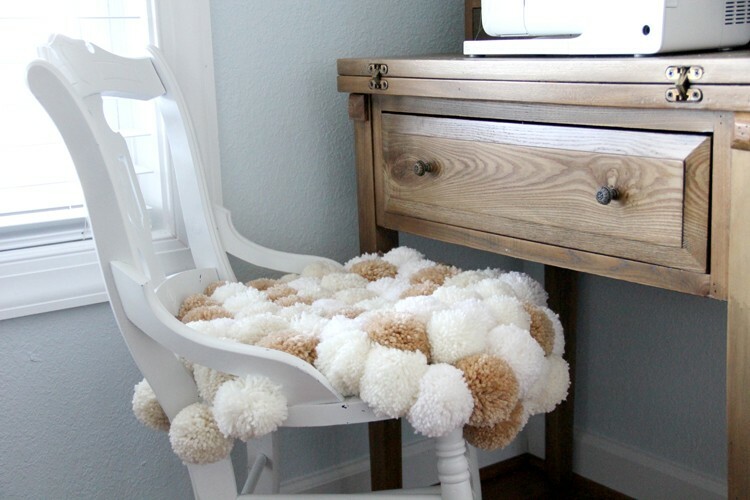 Step Four – Place pom pom chair cover directly on top of your chair, and you are finished! 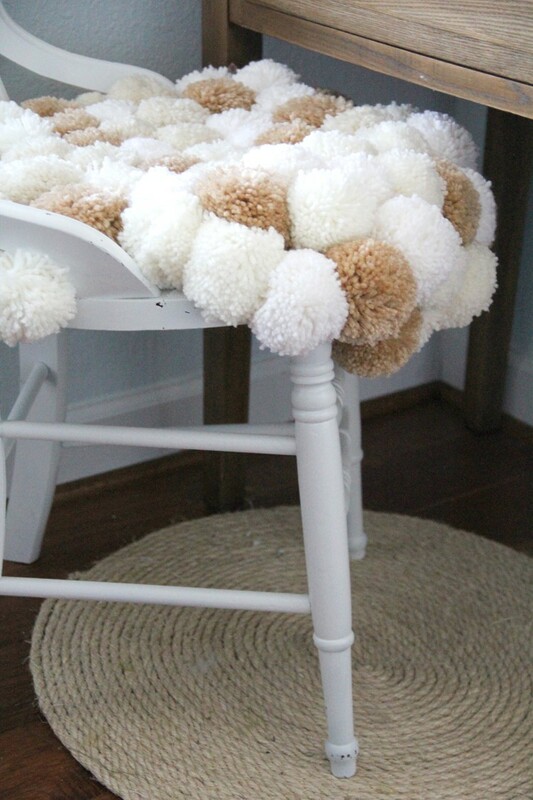 If desired, you can staple down the ends of the pom pom cover around your chair, underneath the poms to secure. I found it was not necessary. Did you size the poms poms differently? They look so much bigger than the ones on your wreath?? But I have to wonder, is it comfortable or can you feel the bumps of each pom pom?